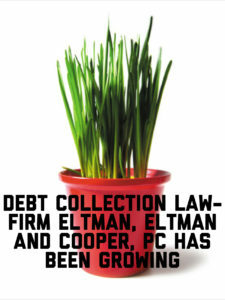 Infamous debt collection law firm Eltman, Eltman and Cooper, PC started as a local New York debt collection mill but have been rapidly growing. 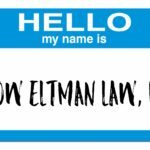 According to their website, Eltman, Eltman and Cooper is now collecting debts in California, Florida, Georgia, Kentucky, Michigan, New Jersey, New York, Ohio, Pennsylvania, Tennessee and Texas. 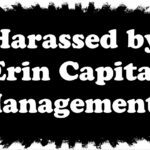 Eltman, Eltman and Cooper began as a captive law-firm and essentially the in-house legal department to notorious debt collection agency Erin Capital Management. 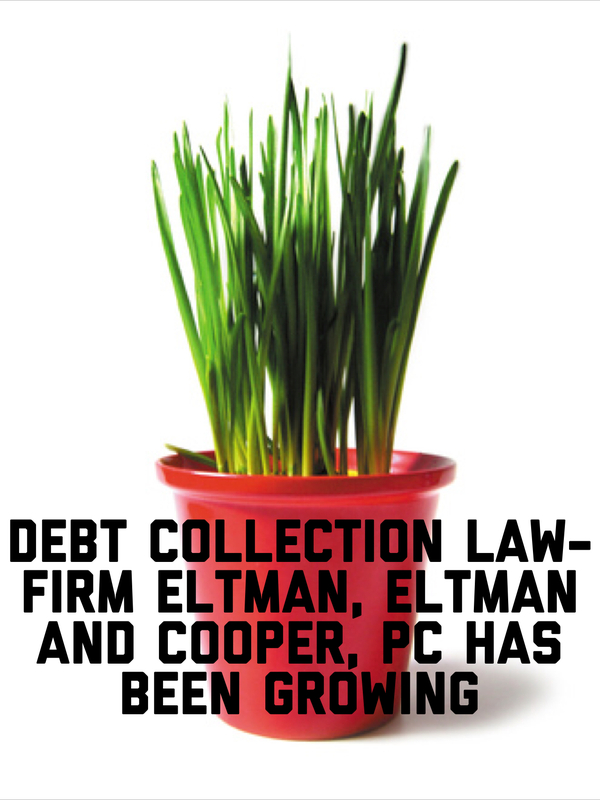 With its growth, Eltman, Eltman and Cooper has apparently expanded its client base beyond Erin Capital. 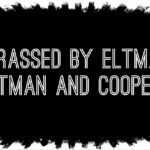 However, best information suggests that Eltman, Eltman and Cooper still shares a common ownership with its sister collection agency Erin Capital Management. 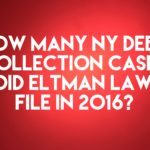 The collection of amounts not authorized agreement or by law. 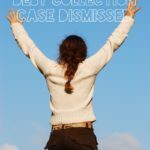 Without the consumer’s consent, communicating with third parties.